Home > Teeth Whitening > Best Teeth Whitening: Which Kits & Methods Can You Trust? Best Teeth Whitening: Which Kits & Methods Can You Trust? So what is the best teeth whitening solution? What’s the best teeth whitening solution if you’re on a budget? What about buying a custom moulded tray from the internet instead of the dentist? What about buying hydrogen peroxide or carbamide peroxide refills from the internet to save money? There are hundreds, if not thousands of companies that have packaged tooth whitening up into a convenient product that you can buy over the counter or online. Similarly, there are plenty of websites (even national newspapers) that are happy to list the ‘best teeth whitening kits’, and push you towards buying them without giving you the proper background information. Here at Electric Teeth we do things differently. We’re not here to make a quick buck — we want to give you the most reliable information possible. We’ve created an entire hub of content on teeth whitening to make sure you get the information you’re looking for. 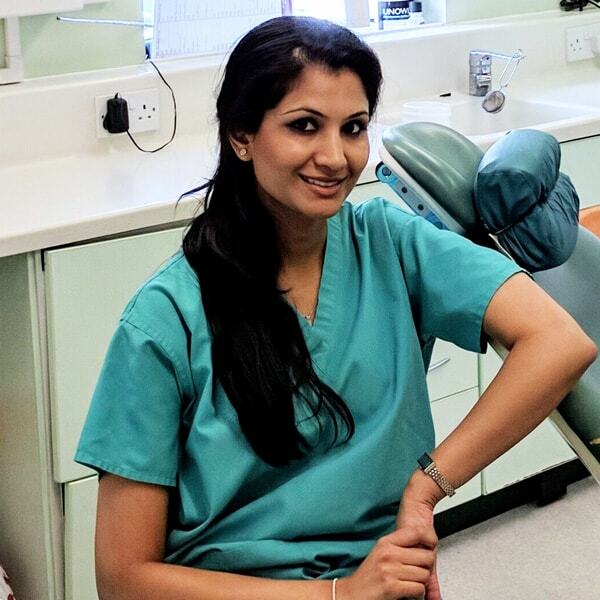 In this post, alongside our in-house dentist Dr. Chhaya Chauhan, we explain the various teeth whitening methods available, and tell you which ones we recommend going for. First, here’s a quick introduction to teeth whitening. Understandably, many people want a quick fix when it comes to improving the colour of their teeth, but unfortunately it’s not as simple as the Instagram selfies make it seem. Teeth whitening can be confusing, but doing a quick bit of research before you get started can save you time, money (and maybe even the health of your teeth). If the correct precautions are not taken, or if unsuitable products are used, whitening can be painful, dangerous and harmful to your long term health. However, teeth whitening / bleaching is safe and relatively painless if carried out by a dental professional. Most products that you can buy online or in shops are also relatively safe, although as we explain below there are still precautions that you need to take. First of all it’s important to distinguish between stain removal and bleaching. They are different things, but often get grouped under the blanket term of ‘whitening’. If you want to remove light staining, which is caused by things such smoking, coffee, red wine, curry, etc. there are some products and methods that you can buy online or in the shops and try safely, at home. The cheapest thing to try is toothpaste, or you could try a whitening kit / strips. You could also have your teeth cleaned by the hygienist. If you want to make your teeth very white, they need to be professionally bleached (or for off-the-chart whiteness you may need veneers). To do this safely, you need to have a consultation with your dentist and pay for professional whitening. An easy mistake to make is to think that over-the-counter teeth whitening kits can achieve the same as professional bleaching. This isn’t possible — whitening kits that you buy in the shops or online are essentially stain removal products. We explain more about professional bleaching vs whitening kits in the next section. One similarity that some whitening kits have to professional laser whitening is that they dehydrate your teeth. This temporary dehydration, which can last for up to 2 days, makes your teeth look whiter, but this effect fades when your teeth rehydrate. That being said, some stain removal products (toothpaste / OTC kits / strips) appear to be effective for some people. This is because their teeth are naturally white to begin with. Usually this is due to age — teeth naturally yellow with age. For a young person with naturally white teeth that have stains on the surface, a stain removal product could work well. For an older person with teeth that have yellowed with age, a stain removal product will probably make little difference, and therefore bleaching will be needed to achieve white teeth. How can you tell if your teeth are naturally white or naturally yellow? The first step is to try removing stains. Brush with an abrasive toothpaste for a couple of weeks. If your teeth do not change colour, they are probably naturally yellow and will need professional treatment to achieve a whiter shade. Why aren’t at-home teeth whitening kits the same as custom made trays? The active ingredients used for teeth bleaching are hydrogen peroxide and carbamide peroxide. In the UK, by law over-the-counter products (like home teeth whitening kits) can only include 0.1% hydrogen peroxide. Gels that your dentist dispenses can include hydrogen peroxide up to 6%, or carbamide peroxide up to 16%. This means that over-the-counter kits aren’t nearly as strong, and less effective at bleaching. They are essentially stain removal products, whereas custom trays are bleaching (true whitening) products. Are custom made trays safer? When you put any sort of whitening product into your mouth, there is the possibility that you will swallow some of the whitening solution. Needless to say, this is not great and can cause stomach problems and other health issues. It’s therefore important to reduce the likelihood of this happening as much as possible. Given this, a custom moulded tray is the best option as it is moulded exactly to your teeth, and your dentist will check that it fits you properly once created. The same cannot be said of the one-size-fits-all trays that come with off-the-shelf whitening kits, or cheap moulds that you make yourself. In the same sense, other products that expose chemicals within the mouth, such as strips and pens, come with similar risks. If you are using high strength gel, such as hydrogen peroxide (up to 6% in the UK), it is even more important that the gel does not come into contact with the soft tissue in your mouth (gums, cheeks, tongue). No doubt you will have seen reviews online that give whitening kits 5 stars, say they are the best things ever, and so on. At this stage we’re going to regard ‘teeth whitening’ as ‘teeth bleaching’. We include more information on stain removal below. The best whitening method, or kit, or whatever you may call it, is a custom moulded tray, made specifically for your teeth, and tested by your dentist. It it not a pre-made tray that you buy online. It is not one of those kits you’ve seen on social media with a blue light, nor any other quick-fix product. The reality is, in the UK at least, it’s not that much more expensive to buy a tray from your dentist. Not only that, it’s more effective, and it’s safer, and it is more suitable long term. If you simply want to remove stains, home whitening kits may work, but their results vary. Dental treatment is not something you should skimp on. That being said, if you don’t have much to spend, you may like to first try stain removal rather than bleaching. This won’t make your teeth ‘Hollywood white’, but may help to reduce staining, thus making your teeth look whiter than they were before you started. However, we do not recommend using stain removal products that dry out your teeth, such as over-the-counter kits that include a whitening light. The best way to remove stains is to have a scale and polish at the dentist, which costs about £20 on the NHS. Once the scale and polish has been completed, you will be able to see the natural colour of your teeth — they will be free of surface stains. If at this point your teeth are more yellow than you would like, you will know that you have done all you can in terms of stain removal. To make them whiter, you will need professional bleaching — there is no more that a stain removal product can do for you. If you would like to try stain removal without going to the dentist, we recommend using a whitening toothpaste twice a day for one to two weeks. Make sure you are using the correct brushing technique. We have recommended a few whitening toothpastes that are safe to use in our best whitening toothpaste article. If you don’t see the results you desire after using a whitening toothpaste for a week or two, it’s best to see your dentist. Other products will do little for you, and by trying too many you could damage your teeth. Using a whitening toothpaste and brushing twice a day can help to remove stains just as well as a shop-bought whitening kit. It’s also worth noting that professional bleaching doesn’t need to cost a fortune. It can start from a little as £150 for custom made trays. We look at this more in our article on professional whitening costs. There are some services online that offer to create custom moulded trays for you to save you getting it done at the dentist. You can even buy them from Amazon. The way these services work is that you order the product, an impression kit is sent to you, you take the impression, send it back, and they then create and send you the mould. There is perhaps a significant saving to be made in the US where dental costs are higher, but in the UK the saving is not so great. You can get custom moulds made at the dentist for £100 to £150 (which includes your first whitening treatment), whereas the impression kit is likely to be around £45 to £50 at least, and you still need to buy the whitening gel from a dentist. The benefit of having the mould created at the dentist is that a professional is helping you to make the mould, meaning you do not need to do it yourself. Once the mould has been made, your dentist can also check that it fits correctly and that your gums are not exposed to the whitening gel. You may have seen whitening refills available to buy online. In the UK, it is only legal for them to be dispensed by a dentist. We do not advise buying online because you may be sold counterfeit products, or if you have not had a dental check up before buying them, you could have outstanding dental issues that need addressing. We cover this in more detail in our professional tooth whitening article. The easy thing for us to do here would be to recommend some whitening kits and make an affiliate commission if you bought one. Our site is based on giving honest answers, though, so again we’d recommend first trying a stain removal toothpaste (which is much cheaper), and if you’re teeth still aren’t as white as you like, go for professional bleaching. You’ve probably seen these plastered all over social media — someone posing with a blue glowing mouthpiece. They may achieve temporary results (good for photos), but can be harmful to your teeth if used too much. Some of these kits have become popular, although if you really delve into user reviews you’ll find that people have mixed results. This is typically because the teeth of some people have yellowed too much with time to benefit from such temporary measures. We covered this in the above section on stain removal vs bleaching. It seems the reason these kits are popular is because it is possible that they will achieve temporary ‘whitening’ results. The chemicals they contain (in the UK at least) are not strong enough to bleach teeth, but they may remove light stains. Furthermore, the light included can dry out your teeth. When teeth are dry, they look whiter. These results can last for a few hours, or even a few days. So if someone has literally just used the kit and taken a photo to post on social media, their teeth may well look whiter. But this is different to actually bleaching your teeth, which will last for months or years as opposed to days. This approach to whitening is likely to be more successful with young people whose teeth will not have become naturally more discoloured by time. Therefore, a 16-year-old using a whitening light in this way will likely see better results than a 46-year-old. Why is it bad to dry your teeth out with a whitening kit? When you dry your teeth like this, the enamel becomes dry and you have pores in your teeth that open up. When they open up, they’re more susceptible to decay or even staining. So actually you could end up staining your teeth even more than when you first started. If you’re frequently drying your teeth out to create a whitening effect, you could be doing them long term damage, and making them more yellow. In the sections below we’ve included recommendations for the best teeth whitening products. We’ve named it in this way to help people find it, but actually most of the below are not for whitening, they are for stain removal (as we explain above), and some of them we do not recommend using. As we covered at the start of the article, our recommendation for the best whitening solution is to have custom moulds made. This is the best method to truly bleach your teeth, rather than just remove stains or create a temporary whitening effect, which is what (UK) over-the-counter products do. When we mention whitening kits, we’re referring to the products you can buy that come with a pre-made tray, mouthpiece or similar. These are usually filled with gel, and some also come with a whitening light. Simply put, we do not have any recommendations to offer here. These kits have mixed results as they are not permitted legally to contain enough hydrogen peroxide to bleach teeth. Many of them come with a one-size-fits-all tray that does not cover the teeth as well as a custom made tray, therefore leaving the gums at greater risk of coming into contact with the gel. See our section on whitening kits above for more information. The situation with whitening strips is complicated by the fact that they are very different in the UK and the USA. In the USA their higher concentration of hydrogen peroxide (up to 10%) means they are more effective than UK products, most of which contain none or very little (the legal limit in the UK is 0.1% for those you can buy online or in shops). We’ve written more about UK vs US regulations here. Without hydrogen peroxide, the UK products will only be able to remove stains at best. If you only want to remove stains, you’re better off using a whitening toothpaste. For more information see our article on the best whitening strips. The best whitening gel depends on a few factors, which your dentist will discusses with you if you have custom made trays made. Typically carbamide peroxide is recommended over hydrogen peroxide, but this is something you can discuss with your dentist when you go for treatment. We talk about this in more detail in our professional tooth whitening article. Whitening toothpaste is a misnomer as toothpaste cannot whiten teeth, it can only remove stains — it cannot whiten teeth that have a base colour of yellow. We’ve listed a few different toothpaste choices in our best whitening toothpaste article and also include other relevant advice. Whitening powders work on the same principles as toothpastes in that they can remove stains but can’t bleach teeth. Although the two aren’t mutually exclusive, whitening powders have become more popular since the emergence of using charcoal for teeth whitening. Our recommendation is to use a toothpaste rather than a powder. If it’s a charcoal product in particular you are after, check out our article on the best charcoal toothpaste. This is another instance where product names are misleading. It is especially the case with mouthwash because for many people it is unlikely to even remove stains. We explain more in our article on the best whitening mouthwash. Realistically speaking, if you want to test a cheap method for removing stains, toothpaste will be more effective than mouthwash. Preferably a scale and polish at the dentist is the best place to get started though. This is another product that we recommend avoiding — see our full explanation here towards the start of the article. Again, these aren’t products we recommend. They are similar to strips in that they have some popularity in the US, but UK law restricts their peroxide content. For example, the AuraGlow is a popular choice in the US, but it can’t be sold legally in the UK because of its high concentration of carbamide peroxide. Even if it was legal here, we would still recommend against it as putting peroxide on your teeth without having your gums properly covered is risky. Any products that are legal in the UK will have little or no peroxide, meaning they only have stain removal capabilities. It’s possible they could ‘whiten’ your teeth for a matter of hours but the results will then fade. One of the suggested uses of a whitening pen is to whiten a single tooth if it has more discolouration compared to others. Often the reasons behind this aren’t as simple as that solution makes it sound — the tooth may have suffered trauma and be discoloured as a result, and a product like this won’t remedy that, you’ll need professional whitening. If you do have a single discoloured tooth, there are professionals solutions to address this which we cover here. Although this isn’t a whitening product as such, we have included it because we strongly recommend professional whitening instead of over-the-counter products. The two main types of professional whitening are laser treatment and custom moulded trays, and it’s the custom trays that we would rate as the best professional whitening method. See our post on professional teeth whitening for more information. Can chewing gum remove stains or prevent teeth staining? Chewing gum on its own cannot whiten teeth or remove stains. However chewing gum stimulates the saliva production in your mouth which in turn washes away food debris and foods that may otherwise stain if they were left in contact with teeth over a long period of time. Having said that some chewing gums have some mild abrasive agents in the outer coating of the gum which may work to abrade away the outer layer of enamel and remove potential stains. The effect of this would be minuscule and it would have to be used multiple time over a number of months to have any noticeable effect. Below we have answered a series of questions we commonly receive about shop-bought whitening products, such as toothpastes, strips, gels, and whitening kits. Rather than bleaching your teeth like a professional procedure, these products remove surface stains. We therefore refer to them below as stain removal whitening products. Hopefully this can help to clear up any confusion before you spend your money on something that may not work for you, or damage your teeth. If there’s anything you would like clarified further, please leave a comment at the bottom of the page and we’ll get back to you shortly. What is a stain removal whitening product? A stain removal whitening product is something that will remove surface stains from your teeth. Whitening products that are (legally) sold online or in shops in the UK are stain removal products — these include toothpastes, powders, strips, gels and whitening kits. This means they will only remove surface stains from your teeth (things like tea, coffee, wine, smoking stains). If your teeth have turned naturally yellow with age, a stain removal product will not make them white again — professional bleaching is required for this. Do you need to buy a whitening product to remove stains? The most effective way to remove surface stains is to have a scale and polish at the dentist. This can be done as part of your regular check up. However, if stains build up quickly on your teeth, you can help to keep them stain free by brushing twice a day with the correct technique, or by limiting your exposure to things that stain. Using an electric toothbrush can help further, although a manual brush is fine as long as you are brushing correctly. Why would you spend extra money on a whitening product? Given that regular brushing can help to keep teeth stain free, why would you spend extra on a whitening product? Whitening products can be quite expensive — they range from £5 up to about £50. You would think that given this extra cost they are significantly more effective, but this is not necessarily the case. There is not a huge difference between what a regular toothpaste can achieve compared to a whitening product. Some whitening products contain additional ingredients which may make a slight difference, but these will still not achieve the results of professional bleaching. It seems that part of the reason people are willing to spend more money is because of the misunderstanding about how effective whitening products are — we have covered this in more detail here. You can save yourself some money by regularly brushing your teeth with a normal toothpaste and visiting the dentist every 6 months. Why do stain removal products seem to work for some people but not others? If someone has teeth with a base colour that is very white and stains have built up on them, a stain removal product may work well to restore their teeth to their naturally white colour. Furthermore, some whitening products dehydrate the teeth, which can make them whiter for a matter of hours. We cover this in more detail above. For people that have naturally yellow teeth with stains on them, a whitening product may remove the stains, but their teeth will still be yellow underneath, and therefore the product seems to have made little difference. And of course, reviews can be faked, or people can be mistaken about how much their tooth colour has changed. We explain in more detail here about why results vary from person to person. What about gel kits, strips and whitening lights? These kits have become popular recently but the same principles apply as with toothpaste. By law products sold in shops and online can only contain 0.1% Hydrogen Peroxide. This is not enough to whiten your teeth in the same way professional bleaching does. Professional bleaching trays hold 6% hydrogen peroxide against your teeth — it is much stronger. Given this, it’s better to buy a tube of toothpaste that costs a few quid than to spend £30 or more on a whitening kit — the limit to what either can achieve is the same. Will a stain removal product work for me? The answer to this is ‘it depends’. Realistically if you brush your teeth regularly and they are still more yellow than you would like, a shop-bought product won’t make them much whiter, if at all. This is even more so the case if you have used an abrasive or a whitening toothpaste for a couple of weeks and they are still yellow. In this instance the best thing to do is visit the dentist. You can pay for a scale and polish, which can be cheaper than some of the whitening products we’ve seen online. If after a scale and polish your teeth are more yellow than you would like, you will need to consider professional bleaching, which your dentist can advise you on. There are not whitening products that you can legally buy in the shops or online that will whiten your teeth more than a scale and polish at the dentist. Are stain removal products safe? If they are available to buy legally in the UK then they should be safe. It is still worth buying from a reputable manufacturer to be sure. It’s also worth considering that you should not use a whitening / abrasive toothpaste too often or for a prolonged period without consulting your dentist. Similarly, if you have not had a dental check up in a while or if you have any outstanding issues, it may be best to do so before using a whitening kit. We’ve covered this topic in more detail in our article: is teeth whitening safe? What else should I consider before buying something? This may or may not be true. Don’t assume that just because it’s written on the box, it’s definitely true. Taking ‘professional teeth whitening kit’ as an example, really there is no such thing. Whitening trays are dispensed by a dentist, which could be regarded as a ‘kit’ of sorts, but things you can buy in the shops or online are not the same as this. Similarly, money-back guarantees can be appealing, but are not always easy to follow up on. Some companies insist on before and after photos and can take a long time to refund your money. Over the years we’ve tested various teeth whitening products here at Electric Teeth, and continue to do so. We’ve included a list of them below. These reviews are best read in conjunction with the rest of this post so that you understand our approach to such products. It is difficult for us to continually test the effectiveness of these products with regards to their whitening capabilities. The products below remove stains from the teeth, so where our teeth are more or less stain free from a good oral health routine, there are few stains to remove. You can’t test a stain removal product very well if your teeth aren’t stained! Nonetheless, we can still review products for things like taste, ingredients, packaging, pricing, etc. Despite the reviews below, our core message remains the same: you’re best starting your teeth whitening journey at the dentist. A scale and polish at the dentist will do a better job of removing stains than the products below. Once the stains on your teeth have been professionally removed, simply brushing them twice a day with the correct brushing technique and a regular toothpaste should help to keep them stain free. Below is a list of the whitening toothpastes we’ve reviewed. You may also like to check out our best whitening toothpaste article. Below are the charcoal products we’ve reviewed — powders, pastes and even toothbrushes. You should also check out our best charcoal toothpaste article. Below are the whitening mouthwashes we’ve reviewed. Before you buy any of these, see our article best whitening mouthwash: does such a thing exist?